Plans of the basement area and roof space and views of the west and east sides of section X. 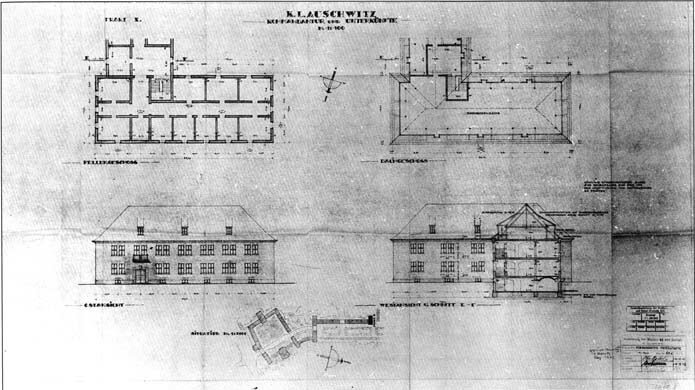 The total capacity of the north wing of the New Garrison Headquarters was planned to be about 350 men. The war was [to] reduce these medieval SS dreams to nothing, however. At Birkenau, for example, their castles became wooden huts, like those of the prisoners, though there was a world of difference in that their living conditions were nevertheless decent whereas those of the prisoners were indescribably bad.